Canada is the largest country within North America. Boasting nearly ten million square kilometres of land, Canada is also the fourth-largest country in the world. Having said this, such a wide expanse affords the visitor some of the most unique experiences on the planet. From stunning coastlines to majestic glaciers and countless acres of pristine forest, Canada can be seen as one of the last frontiers left in existence. This is the reason that nature lovers near and far flock to this paradise each year. Still, it can be difficult to decide which activities are the best due to the sheer variety of choices. Let us therefore take a quick look at some popular destinations that are sure to impress. 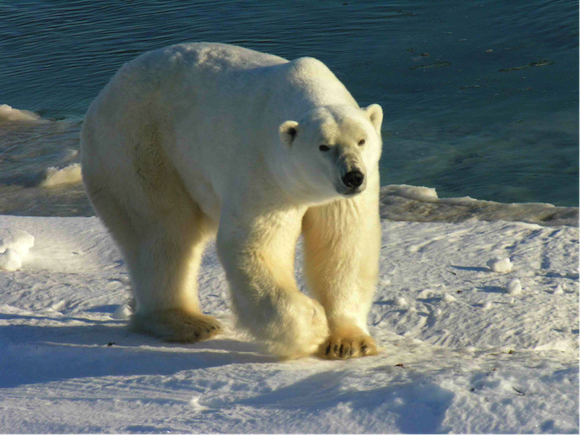 While it is never recommended to approach these majestic bears personally, there are a number of polar bear tours such as those to be found in Churchill, Manitoba. Expert drivers will provide you with an up-close view of such massive creatures and you can partake in their beauty within what can only be called a stunning arctic backdrop. This is the largest natural park in Eastern Canada and is a UNESCO World Heritage Site. Located in Newfoundland, the purple mountains, which overlook verdant green forests and placid lakes, seem as if they are more appropriate on a postcard. 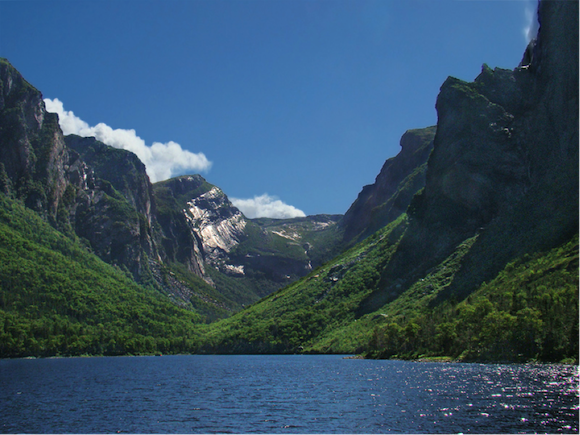 Not only are sailing and hiking excursions offered here, but also Gros Morne National Park is said to boast some of the best camping spots in the entire country. Found on Vancouver Island in Western Canada, this is a massive preserve, which seems to capture the beauty and the allure that has come to define Canada. As it covers approximately five hundred square kilometres of land, the variety of landscapes and ecosystems is simply unimaginable. While the inland region provides panoramic views of snow-capped mountains reminiscent of the Swiss Alps, there is also a serpentine route, which runs along the coast that many visitors enjoy driving through. In this case, it is always a great idea to purchase car excess insurance in the event of a flat tire or any other unforeseen situation while out and about. Indeed, the entire island of Vancouver is beautiful and if you have the time, it is wise to set aside at least a few days to absorb all that this location has to offer. Offering a natural beauty that has no rival, Canada is one of the last places on Earth where flora, fauna and geography all coexist in peace. If you are planning a holiday to this region, be certain to keep these three destinations in mind. Posted on 15 June 2014. Family holidays can be difficult to choose, especially when it comes to making sure that every single member of the family, from young to old, will actually be happy with the choice. Few travel spots out there appear to be as family-attractive from the very beginning as themed parks and the truth is that one of the best ones you can visit is the Universal Studios Park. Why should you buy tickets for Universal Studios and not for any other park out there in the whole wide world? Read on and find out more. Universal Studios Park is located in sunning Orlando, Florida. This means that there is very little (close to none) chance that you will actually catch any kind of bad weather there. Regardless of the time of the year at which you choose to visit the park, you will find weather to be on your side – definitely a plus when you want to go holiday with the entire family and you don’t want to disappoint your kids with anything. 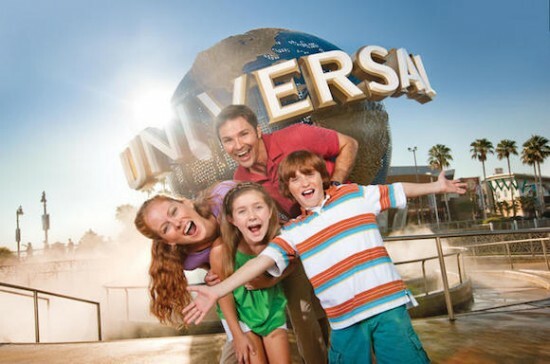 There is such a wide variety of things to do and see at the Universal Studios Orlando park that the hardest thing you will have to do is choosing which one you should do first. However, the number of things available to do in this park is manageable, which means that you will not leave the place without having tried each and every single attraction (hence, no disappointment on the part of the little ones either). The Universal Studios park has a great advantage over many other themed parks: it can actually satisfy both children and adults. There are a lot of rides that are fun regardless of age and which you will definitely find exciting enough even if you are past the age at which Princesses and Villains impress you no longer (or at least not the way they did when you were a kid). One of the most annoying things about overly popular travel destinations is related to the fact that most frequently they are extremely crowded and that means that you have to wake up at 6 or even 7 am to make sure you don’t have to wait in an endless line (and have your kids getting impatient and grumpy meanwhile). This is definitely one of the features at which Universal Studios excels over many other famous theme parks out there: you don’t have to wait as much as you do with them. Even if you do have to wait for a bit, the amount time spent in line will be significantly lower than it is with other parks. If you are planning a trip to Oklahoma, you are soon to find that there is plenty on tap to keep you busy. Much like other lower mid-western states; Oklahoma is a state rich in history and natural beauty with something to offer for everyone. Whether you are a couple, touring on your own, or bringing the whole family along. The following is just a few of the most worthy attractions that deserve a spot on any itinerary. When you think of the part of the country in which Oklahoma is located, cowboys and life in the old West almost certainly comes to mind. If you are interested in learning more, head on over to the most popular museum in Oklahoma City, the National Cowboy and Western Heritage Museum. It is chock-full of history, art and culture. There is also stuff to keep the kids entertained, such as the Children’s Cowboy Corral. There is a lot going on at the Frontier City Theme Park, and it is a great place for anyone traveling with kids. Here you will find all sorts of amusement, such as water and thrill rides, concerts and other sorts of performances. It is one of the most popular attractions in the state, for locals and tourists alike. 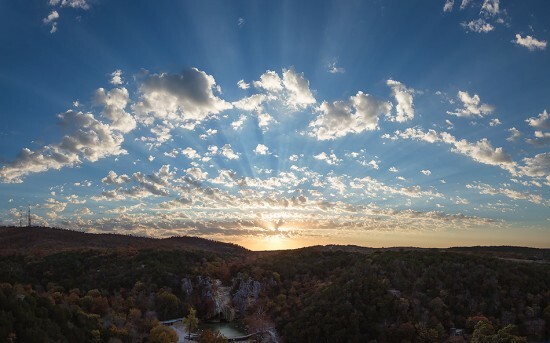 If you like getting out into nature, Turner Falls Park is one of the top outdoor destinations in the state. You can make a day trip out of it, or get some gear and camp out amongst its beauty. There are scenic hiking trails, breathtaking waterfalls (in which you can swim), unique geological formations and plenty of other picture-worthy natural scenes. The Gilcrease Museum is not only one of the top museums showcasing American art and its history in the state, but in the whole country. If you even have a moderate interest in art, this place is not to be missed. You can meander through on your own, or join a tour guiding you through the permanent collections and current exhibits. It also holds frequent lectures, art classes for children and adults and film viewings. If you love the outdoors, and you love animals, the Wichita Mountains Wildlife Refuge will be an unforgettable experience. The area is home to an interesting mix of animals, such as elk, prairie dogs and bison. There is also great fishing and hiking in the area. This museum was built as a memorial to the people who lost their lives in the 1995 Oklahoma City bombing. The tour will take you through the events of that day, and the aftermath. While this might not be the most light-hearted tourist activity, it is certainly one that will leave you with profound effects. If you are looking for a lively area that will give you a taste of what Oklahoma City has to offer, Bricktown is a must-visit. Here you will find all sorts of attractions, great food and loads of fun. Take a water taxi around the area; visit the American Banjo Museum; relax and kickback at a local watering hole for some drinks, fun and dancing. This is a great attraction for kids and adults alike; it is a large zoo with a huge collection of animals. To name a few, you can see bears, lions, exotic fish, birds and elephants. If you have young ones, head over to the children’s zoo, where your kids can get up close and personal with some cute, furry friends. It also has a botanical garden and butterfly garden, both worth a look. This area of the state, termed ‘Peaceful Valley of Rippling Waters’ by the Native Americans, is one of the most scenic parts of Oklahoma, and chock-full of activities for visitors. The lovely Travertine Creek flows through most of the area, which offers picnicking, swimming, camping, hiking, fishing and animal-watching. It is a great place to recharge and appreciate the true wonder of nature. If you particularly love getting pictures of breathtaking natural beauty, the Talimena National Scenic Byway will not disappoint. If you are here in the fall, the foliage tours here are some of the best in the state. The byway is full of scenic turnouts that will give you a great vantage point for taking in the beauty of Oklahoma. If you’re searching for the ultimate in long haul holidays, yet also for a destination that boasts culture and charm, then a trip to Mexico may be just what you are looking for. From relaxing on one of the picturesque beaches to enjoying the sights and sounds at one of the area’s famous festivals, Mexico certainly has something to suit all. If it’s adventure you’re after, then exploring one of the areas many archaeological sites, such as Tulum, is a must. This particular part of Mexico is home to an abundance of Mayan culture and history. In fact, Tulum’s walled city was one of the last cities to be inhabited by these people. If you’ve always dreamt of swimming with dolphins, then Mexico is a popular place to partake in such an activity. Mexico holidays with Direct Holidays are a great option for those travelling with children as swimming with bottlenose dolphins is an experience they’ll never forget. 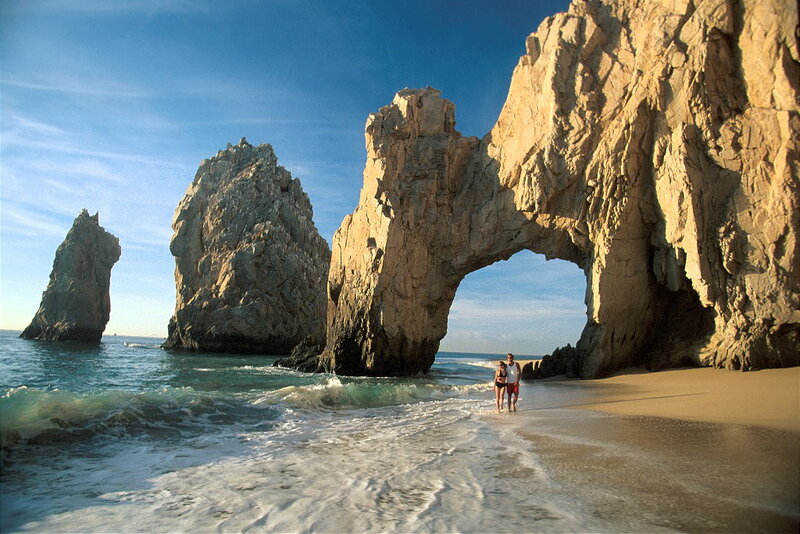 Mexico is home to an array of beautiful beaches. Many of these beaches host a number of water sports, including kite surfing. The best place to kite surf in Mexico is Playa Maroma as it’s here that you’ll find the perfect wind conditions for such an activity. Although this sport is a challenging one, it’s certainly worth a go. Those who enjoy learning a little about an area’s history and culture, as well as relaxing by the beach, will enjoy a trip to Valladolid. This impressive city is part of the famous Yucatan Peninsula – home to an abundance of architecture, as well as many natural wonders. One of the main attractions here is the freshwater CenoteZaci – a sacred Mayan sinkhole that provides easy access to many of the area’s must-see caves. Those willing to unleash their adventurous side will certainly enjoy spending a day or two here. 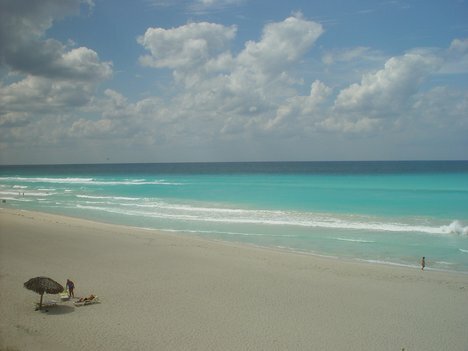 For many, the preferred holiday resort in Mexico is Cancun. This area boasts the best of both world, including a handful of picturesque beaches, an abundance of water sports, restaurants to suit all tastes and upbeat nightlife. If you’re travelling with both children and young adults, this is an ideal spot to visit. Posted on 03 November 2013. So you watched the TV series ‘Las Vegas’ and now want to replicate that luxurious, high-rolling life in the capital of Nevada? The first and most important step is picking a hotel that will give you that exact experience, while keeping local attractions nearby and at hand for your entertainment. The key to luxury is often quiet and peace, but how do you find a quiet nook in the brightest, most vibrant city in America, known for its non-stop stakes and shows? Las Vegas is a city that aims to fill every dream, and the long list of select, prestigious hotels can be found with Travelbag’s Las Vegas Holidays. 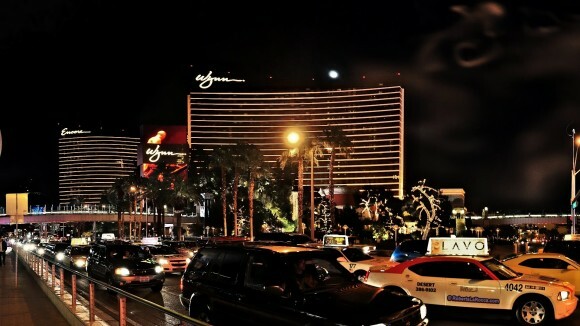 Owned by one of the richest men in America, the Wynn and Encore Las Vegas is the go-to-place for Hollywood stars, politicians, sports stars and other celebrities flooding the town daily to watch as performers descend from all around the world for once-in-a-lifetime sets. It boasts expansive rooms with floor-to-ceiling windows giving guests an amazing view of the Las Vegas strip – the heart of the city. Suites are tailored to specific guests, and every need catered for. Feel pampered as even public areas have Venetian glass floors and pearl-inlaid marble. Guests don’t even feel the need to leave the hotel, as it can draw world-renowned acts to its halls, while offering an unending line of fine dining choices from the discerning foodie. The Palazzo presents a case of sensory overload, as guests entering the lobby from the street are often overwhelmed by the view of a 60-foot glass dome and a two-storey fountain. Rooms continue the theme of modernistic design, as these spaces built with modern European flair – expect marble baths and sunken lounges. Food at the Palazzo is an attraction all on its own, with the freshest ingredients entertaining one’s palate. While its Delmonico Steakhouse serves up New Orleans cuisine and AquaKnox flies in fresh seafood daily, the Fusion restaurant offers much South American choice – be it Brazilian, Peruvian, or Mexican dishes. 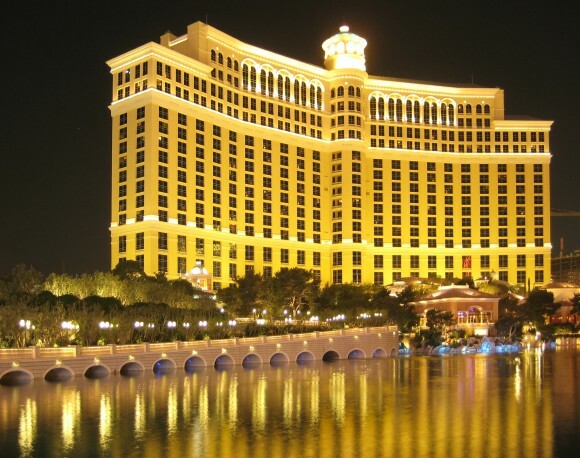 However, it is the Bellagio that has garnered the biggest reputation, as it has been the centrepiece of countless Vegas-based films, most notably the Ocean’s franchise. This Vegas Strip hotel does nothing in small measure, witness its iconic eight-and-a-half-acre man-made lake and synchronised water fountains. Guests’ personal comfort is paramount, and its colossal adults-only Cypress Pool has 60 chaise lounges, four daybeds, and three cabanas, made more luxurious with chilled towels and misters. Dining, too, is in no short supply, from Asian fare at Jasmine to Mediterranean at Todd English’s Olives, made sweeter by Petrossian’s cigars and caviar. This post sponsored by Travelbag. Posted on 23 August 2013. Scattered with picture postcard islands, lined by idyllic beaches and with almost year round sunshine, it’s no wonder that the Caribbean is one of the world’s favourite holiday destinations. However with so many islands, countries, and oversees destinations to choose from, selecting the location for your Caribbean break isn’t always easy. If you’re struggling to tell your Aruba from your Puerto Rico, here are some of this year’s top Caribbean hot-spots to help you out. Though the Caribbean may be best known for its glamorous resorts and secluded bays, if you pick the right island, you can have just as many wild nights and parties as on any party breaks. One of the hottest party spots is of course Jamaica, the island made famous by reggae, rum and relaxation. 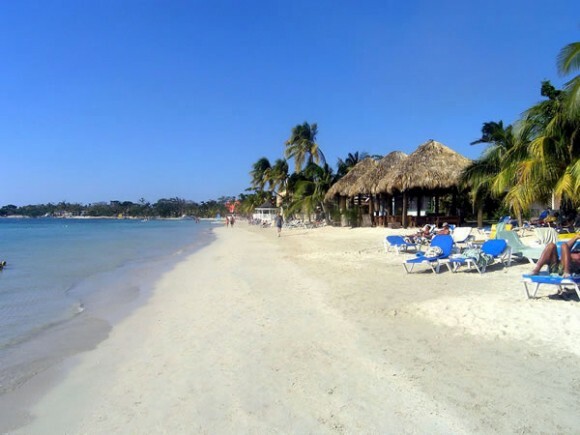 Though there are plenty of party destinations to choose from, Negril, with its seven-mile stretch of sandy beach is a firm favourite. Keep an eye out for the regular festivals and live music events which take place on the island and don’t miss any opportunities to soak up some local culture. For many years, Cuba has been a mysterious but enticing Caribbean destination and with its tourism industry really starting to heat up, now is the perfect time to visit this legendary island. From the minute you step off of the plane, the photo opportunities will hit you thick and fast. From the vintage cars to the crumbling buildings, everything in Cuba seems to have a story to tell. Cuban culture can be absorbed as you explore the alleyways of Old Havana, stroll along the beachfront in front of the setting sun, or sip a classic Cuban cocktail in a local bar. Though celebrities can be found on most of the Caribbean Islands, one of the current favourites is St Lucia – and for good reason! With great facilities, a laidback atmosphere and stunning scenery, it’s easy to see why it’s a magnet for the great and the good. Luckily there are plenty of hotels and resorts offering Caribbean charm without the celebrity price tag, so everyone can enjoy a little piece of paradise. With so much on offer, there are few places in the world that make better holiday destinations, so grab your passport, pack your bags and take off for paradise. As the Caribbean is conveniently close to the American mainland you can even combine your trip with excursions around the USA. Holidays Florida are a popular choice, for example; you can enjoy all the cinematic thrills of Pirates of the Caribbean at the famous theme parks before exploring the area the action is set in for yourself. Posted on 30 July 2013. Florida has long been a popular choice for family holidays to the US, and I think a major reason behind that is its great selection of theme parks – though the sunshine certainly has its part to play too! Each year ushers in some great new rides, which means that even if you’ve been on a theme park adventure in Florida before, chances are there’ll be lots of new things for you to do and see. And, of course, since there are so many theme parks in this part of the world, it’s unlikely you’ll have been to them all. 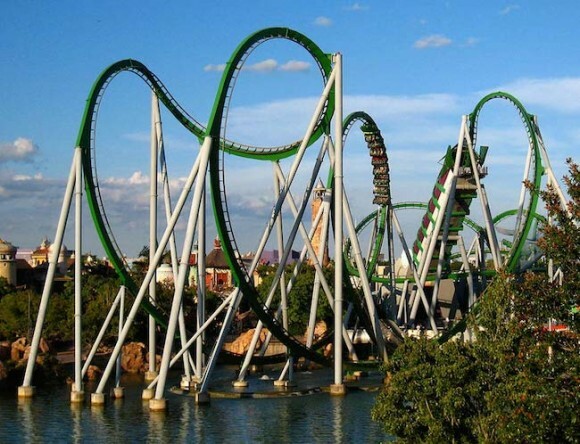 There are some really exciting additions to the theme park circuit this year, so I suggest you start planning your trip now – Cosmos Holidays is a reliable operator for affordable family holidays to Florida. Without further ado, let’s take a look at what you really shouldn’t miss in 2013. It seems that the bulk of the biggest new ride releases are taking place at the Universal Orlando Resort, so if your main aim is to check out the very latest attractions, this is where you should probably go. 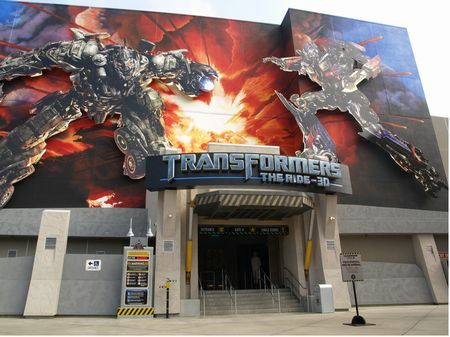 The most exciting new attraction is the much-anticipated Transformers: The Ride – 3D, which is brand new for summer 2013 and promises to provide a totally immersive experience. Using the latest 3D media and flight simulation technologies, this attraction will whisk you into the world of the Transformers. Fight alongside the Autobots to thwart Megatron and his dastardly Decepticon compadres, who have a characteristically evil plan that’ll spell the end for humanity. It seems that this year’s all about the 3D, with the next of our recommended new rides also being a 3D thrill – and, as with Transformers, you’ll find it at the Universal Orlando Resort. 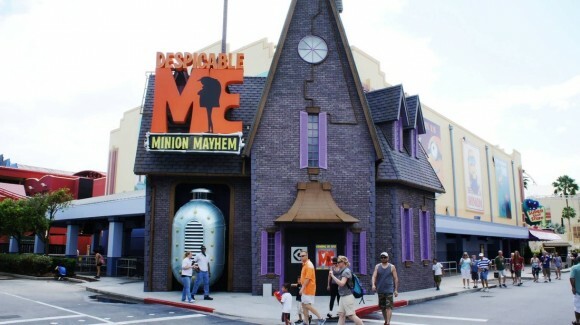 Officially launched in 2012, Despicable Me Minion Mayhem is a fun ride that aims to provide just as many laughs as thrills – and we think it succeeds. You’ll join Gru and be recruited as a Minion to help in his latest scheme. Alas, after you’ve been taken through his carefully created minion training things don’t go quite to plan and you’ll be launched on a hair-raising high-speed journey through the laboratory. Hold on tight! Also officially launched last year, Pirates of the Caribbean: The Legend of Captain Jack Sparrow is one of the latest highlights of Disney’s Hollywood Studios at Disney Walt World in Lake Buena Vista. Offering something a little bit different for theme park fans, this attraction is more of a walk-through experience than a ride – but that doesn’t make it less exciting. This treat for the senses incorporates a host of special effects to throw you into the world of the Black Pearl, allowing you to follow in the footsteps of the loveable rogue Captain Jack and see if you have what it takes to join his crew. If you can’t make it to Florida in 2013, you can still look forward to catching some incredible new releases. In spring 2014, for instance, the ever-popular Busch Gardens Tampa will be unveiling Falcons Fury. You’ll need to have a head for heights for this one, because it’ll haul you up a dizzying 300 ft straight in the air. And, in case that’s not terrifying enough, it’ll rotate you 90 degrees so you’re facing the ground – just in time for you to plummet back down to earth at 60 mph! 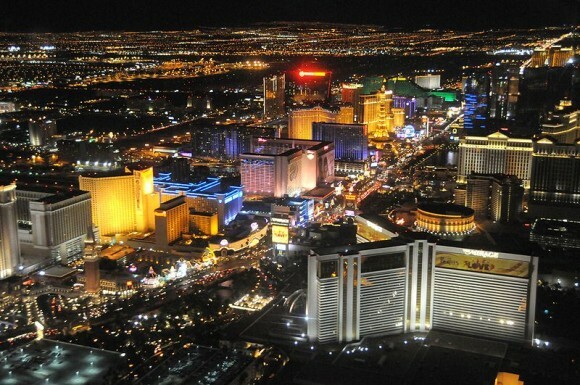 When it comes to celebrity hotspots, Las Vegas is ever-popular. And so it should be, what with its lavish hotels, trendy nightclubs, glitzy bars and dazzling casinos. So, unsurprisingly, it’s a brilliant place to come if you fancy swapping your day-to-day routine for a taste of the highlife – even if just for a week or two. So, just how do you live like an A-lister? Well, while simply getting yourself to Sin City will certainly help, you do need to give some careful thought to where you stay, eat and party if you really want to feel like a superstar. Below, you’ll find some ideas to get you started. Las Vegas might be overflowing with glitzy hotels with, let’s be honest, outlandish themes, but Caesar’s Palace is probably one of the most striking. 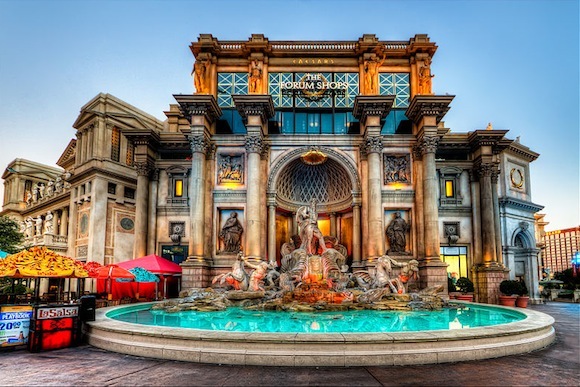 Themed around ancient Rome, it looks every inch the Roman palace – well, except for the fact it’s ultra-modern and in the US, of course! Come here and you can enjoy things like the sky-effect ceiling, which changes colour throughout the day, as well as the luxurious ‘Garden of the Gods’ pool area. Plus, it’s a brilliant place for foodies – especially for us Brits, who will feel right at home at Gordon Ramsay Pub & Grill. This purports to be Vegas’s most authentic example of an English pub, but considering the chef and the location, I think it’s safe to say it’ll be far fancier than your average British boozer! The Colosseum Theatre, meanwhile, has hosted countless famous names, including Rod Stewart, Elton John and Celine Dion. So, you’ll have an amazing music venue right at your hotel. Of course, there are heaps of other luxurious places to stay so, if you don’t fancy Caesar’s Palace, there are plenty of other options. Having served up amazing food to the likes of President Obama and Hugh Hefner (a diverse celebrity clientele, I know! ), N9NE is no ordinary steakhouse. It’s known as a premier foodie location, as well as a prime celebrity hotspot, so booking a table here really will give you a taste of the Vegas highlife. While serving up a whole lot of steak (which I’ll go into in more detail in a moment), this eatery offers a really wide range of meals, including some pretty impressive seafood dishes and an excellent mix of entrees. Chef Barry Dakake prepares things like dry-aged 18 oz bone-in rib-eye and prime-aged Midwestern beef 22 oz porterhouse. When it comes to steak sauces, there are four main ones to choose from, including fresh tarragon béarnaise – and if picking just one is too difficult, you can opt for samples of all four, which I think is a really nice touch. Located at the Luxor Las Vegas, LAX Nightclub is easily one of the hottest joints – if not the hottest joint – in the city. This 26,000 sq ft venue is all about luxury, with red leather furniture, red velvet drapes and sparkling chandeliers adding to that lavish atmosphere. A-list celebs absolutely love this place and, in fact, Britney Spears hosted its official opening. Come here and you can shimmy the night away to R’n’B and top 40 hits on the first floor, or book yourself a VIP loft to really live it up. The second floor, which is up an awesome Gothic staircase, is where you’ll find most of the famous names, since it’s home to the VIP tables and private dancefloor. Located in the heart of southern British Columbia, the Okanagan Valley is the perfect spot for a romantic getaway, a high-flying adventure, or a memorable family vacation. 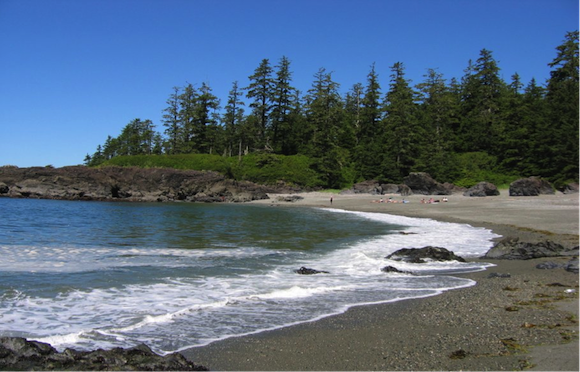 In the summer, the valley is perfect for outdoor explorations along its sandy beaches while the winter offers an abundance of skiing and other wintertime fun. After just a single visit to this amazingly diverse area, the Okanagan Valley will beckon one back time and time again. Beloved by thousands of visitors each year, this part of Canada is known for its variety in climate, landscape and culture, offering something for everyone. From orchards and vineyards to mountains and valleys, this is one of the most desirable locations in all of British Columbia. The rolling hills of the valley make for a spectacular backdrop for golfing, skiing, relaxing, and touring the many wineries in the region. Beginning in the south, one will find the Okanagan Valley’s stunning backcountry, complete with the remains of old mining settlements along the edges of the highways. From the Oliver and Osoyoos regions, head north toward the valley, which is filled with lush orchards and vineyards. 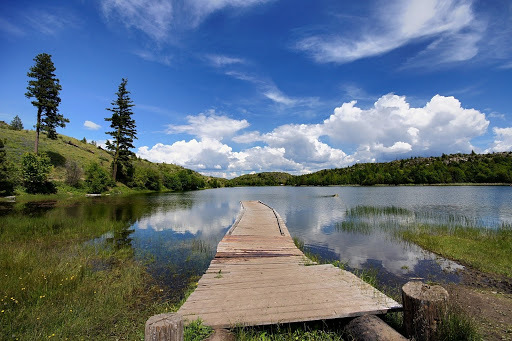 Because of its location, the Okanagan Valley is home to dozens of parks and recreational areas, many of which surround the gorgeous Okanagan Lake. No matter what time of year one chooses to visit, the open terrain of the region makes it the ideal destination for backpacking, hiking, and mountain biking. The breathtaking landscapes do make for a challenging outdoor adventure, but there is something for every experience level. For those looking for a true outdoor adventure, visit the valley in the winter for some prime skiing at Big White, Silver Star, and Apex. Sun-drenched and snow-covered in the winter, the Okanagan Valley boasts some of the best downhill slopes in British Columbia. Home to several top-of-the-line resorts, the facilities for ski lovers and outdoor enthusiasts is simply second to none. For those that don’t enjoy skiing, there is plenty of opportunity to enjoy the snowcapped mountains by throwing on a pair of snowshoes or hopping on a snowmobile. Though the original appeal of the Okanagan Valley was its natural beauty, the area is also beginning to emerge as a serious wine-producing region. Canada’s wine industry traditionally hails from Ontario, but this region has truly blossomed in the past few years. In fact, some of the most successful wines come from the Okanagan Valley. Knowing this, a tour of the many wineries and vineyards is a must-do for anyone interested in wine; however, be sure to make a plan, as there are more than 9,000 acres of vineyards and almost 200 wineries! The major centers of this region include Penticton, Osoyoos, Vernon, and of course, Kelowna. Kelowna is a sanctuary nestled within the glorious mountain range, with abundant gardens, vineyards, and orchards. This lakeside paradise is the largest city in the Okanagan Valley. There are a variety of accommodations available, with Kelowna hotels along the lake, resorts on the mountain, and plenty of camping sites throughout the area. Be sure not to miss the golfing, visit some of the 28 wineries, and take a stroll along the main street that actually ends at a beach!